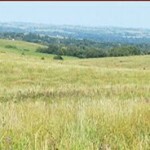 The Cather Prairie is a 609 acre tract of grazed but unbroken mixed-grass prairie that is owned and maintained by the Cather Foundation. 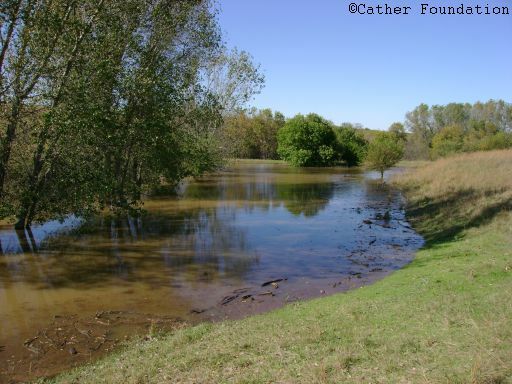 This preserve is open to the public and is a fine example of the native grassland that once covered Nebraska. 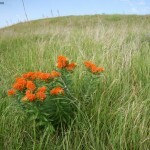 Throughout the summer, numerous wildflowers grow amid tall native grasses in an ever changing display of color. 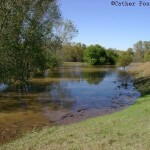 Willa Cather first came to Webster County from Virginia in 1883 at the age of nine. 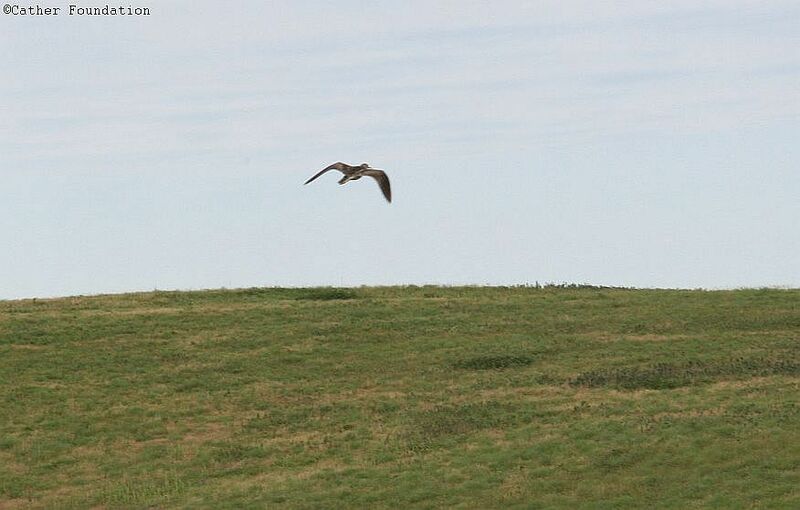 The vast open prairies of Nebraska made a profound, lasting impression on her. She often makes reference to prairie in both My Antonia and O Pioneers! “This country was mostly wild pasture and as naked as the back of your hand. I was little and homesick and lonely and my mother was homesick and nobody paid any attention to us. So the country and I had it out together and by the end of the first autumn, that shaggy grass country had gripped me with a passion I have never been able to shake.” Her life task became portraying how the pioneers tamed the wild land. 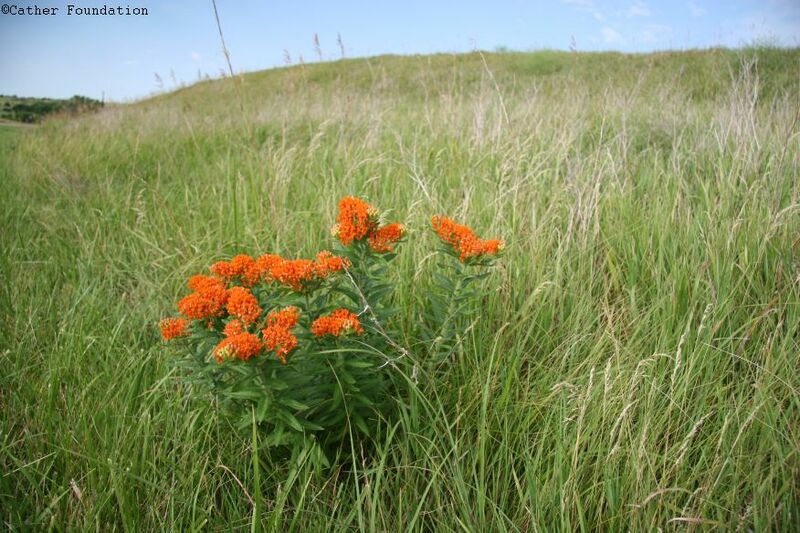 Wildflowers such as this orange Butterfly Milkweed brighten the prairies each summer. 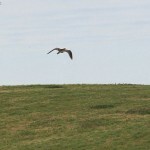 Upland Sandpipers such as this one are among the grassland birds commonly seen at Cather Prairie.